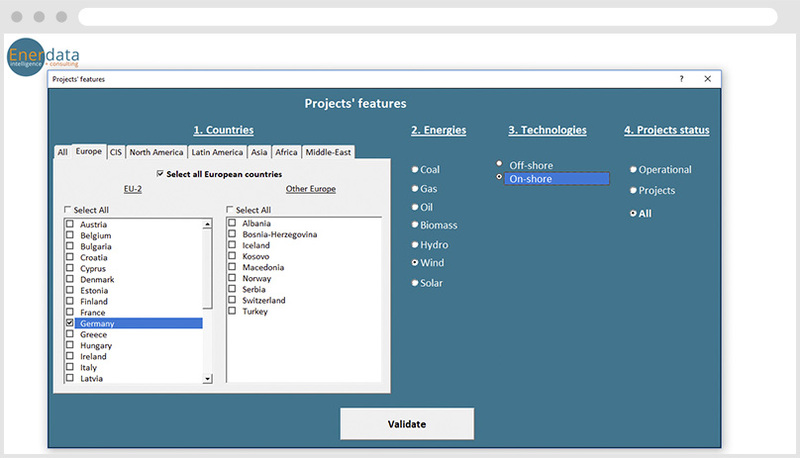 CAPEX and LCOE is the new module of Enerdata’s Power Plant Tracker database. It is the most insightful tool to make informed decisions about which technologies to invest in and where. 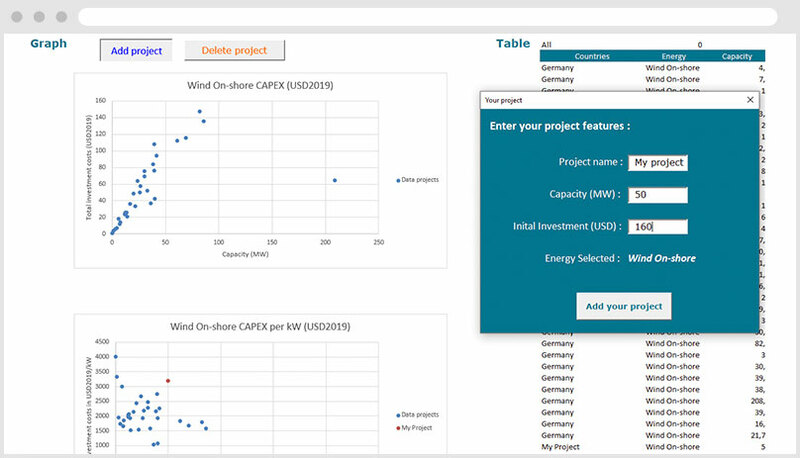 In just a few clicks, access unique, premium data on both thermal and renewable power generation costs. Put our detailed, reliable information to use and benchmark your project. 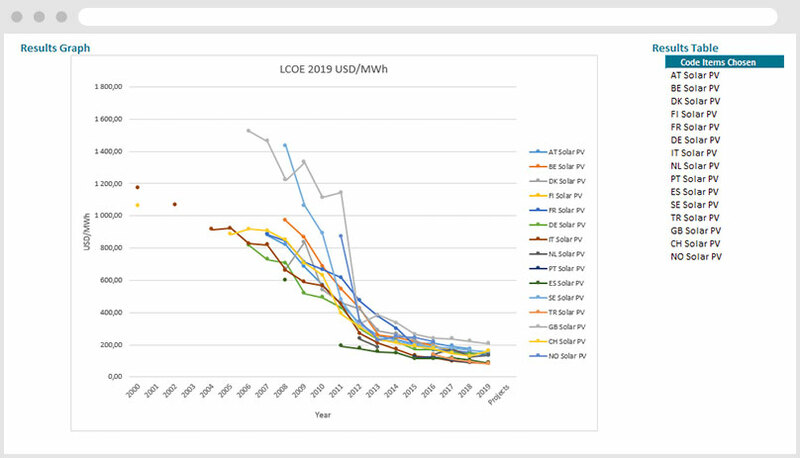 The LCOE is a calculation used to compared the cost of electricity production among different technologies. LCOE is the remuneration to the electricity supplier throughout the lifetime of the generating asset. The remuneration is assumed to be constant throughout the years. It is expressed in USD/MWh or EUR/MWh. 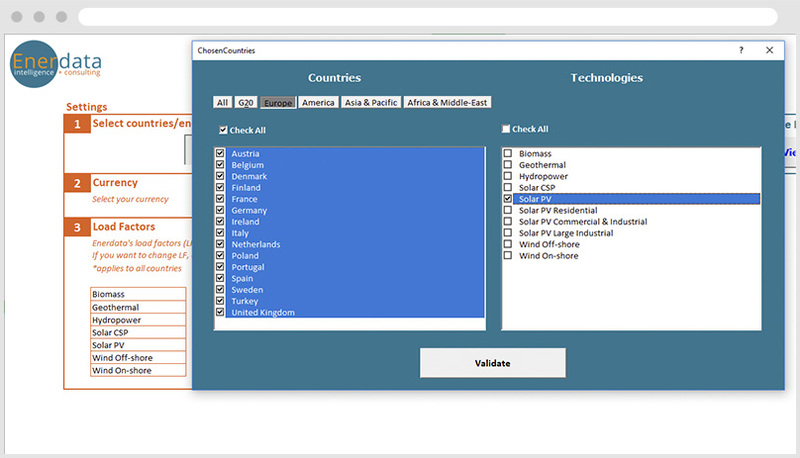 CAPEX – Analyze the evolution of overnight Capital Expenditure costs by technology and by country or region. Benchmark with your own projects’ costs. Capital Expenditures, also called overnight costs, are the initial investment required to build a generating asset, i.e. the cost of investing in a power plant without taking into account the financial costs (interest rates) or the structure of financing (equity (WACC) vs. debt). The concept of overnight costs is common in energy economics.